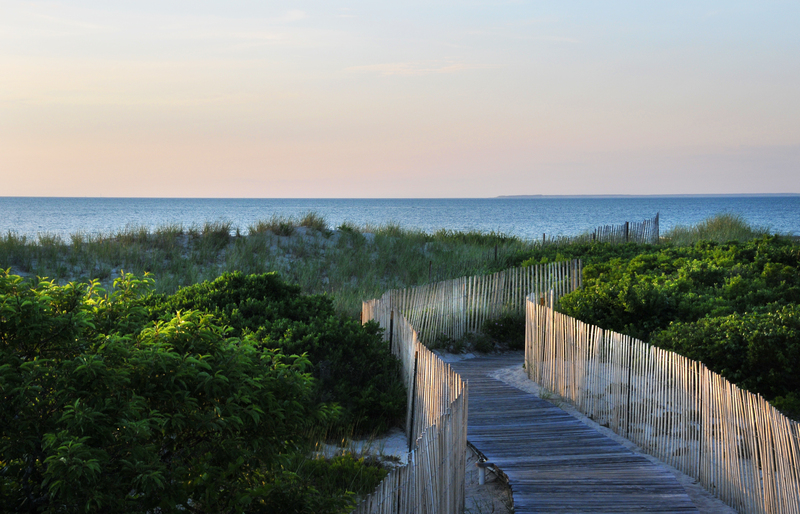 Our top picks for first-class vacations. There should be an award for whoever came up with the concept of a resort. Find a beautiful setting; add the finest creature comforts, a host of fun activities and a staff dedicated to making your visit as pleasurable as possible, and the result is a recipe for the perfect getaway. 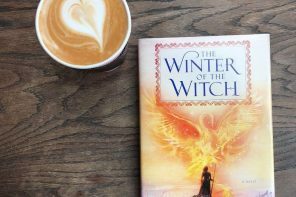 Sound like just what the doctor ordered? 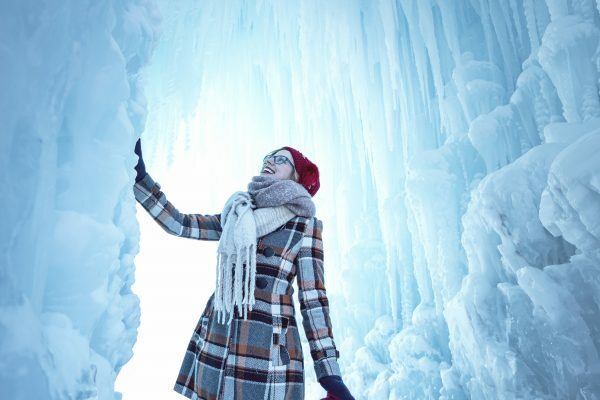 Maybe it’s your turn to indulge in a family vacation or weekend escape at one of these premiere resorts, all well versed in delivering first-rate service and memorable experiences. 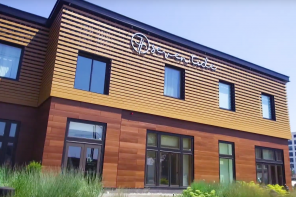 Guests can choose among the hotel’s 67 airy rooms; 11 one-, two- and three-bedroom adjacent garden cottages; and two three-bedroom lofts in town. 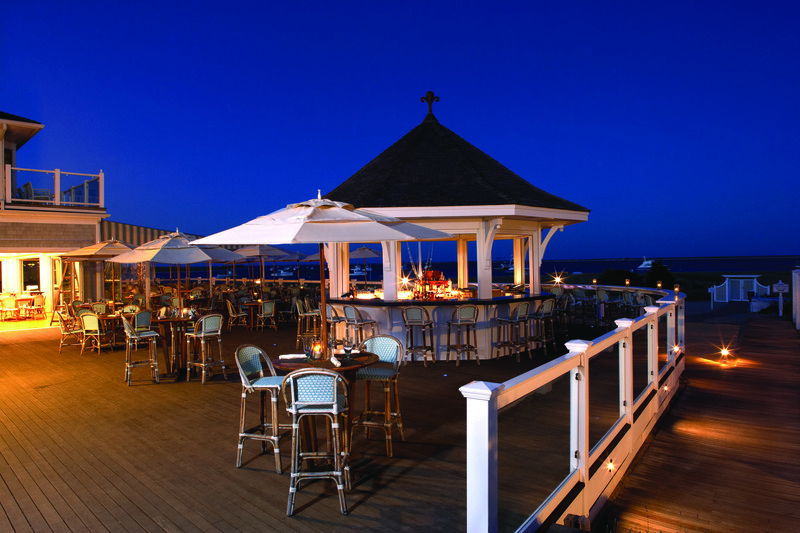 Enjoying a cocktail or dinner on the Brant Point Grill terrace, with lovely and lively Nantucket Harbor as a backdrop, constitutes a perfect summer evening. 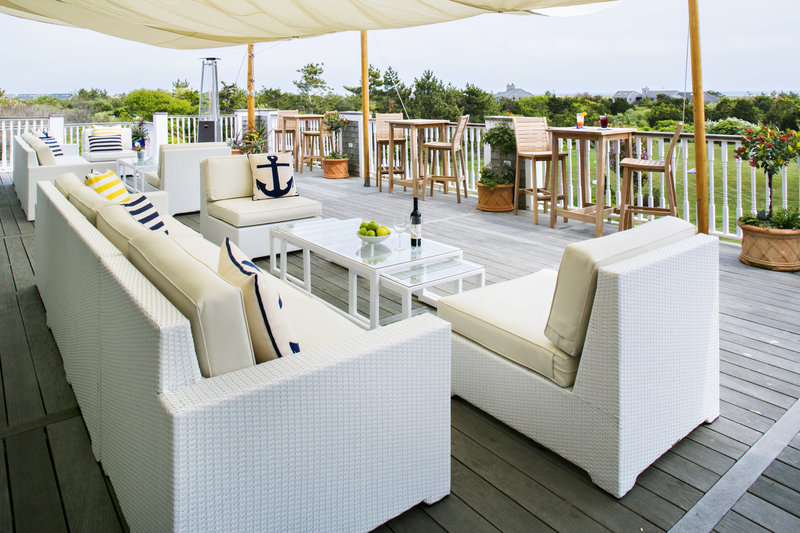 If your idea of a getaway is a little farther away, check into The Wauwinet on Nantucket. 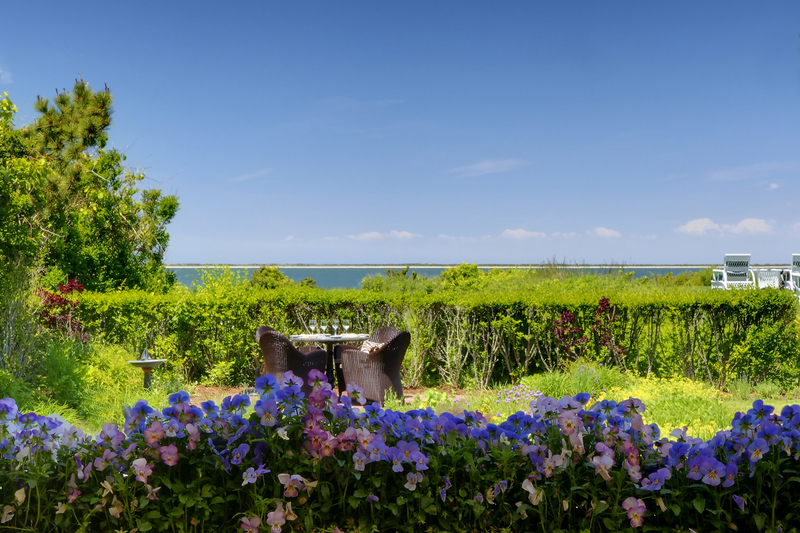 Idyllically located with the Atlantic on one side and Nantucket Bay on the other, but still only a 20-minute drive from town, The Wauwinet has been hosting vacationers since 1888 and now houses 33 individually designed guest rooms plus the recently opened three-bedroom Anchorage House. 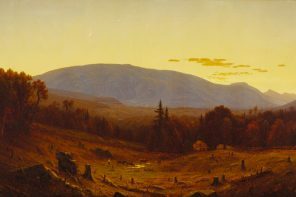 Although a jitney transports guests into town, you may never need to make the short journey. 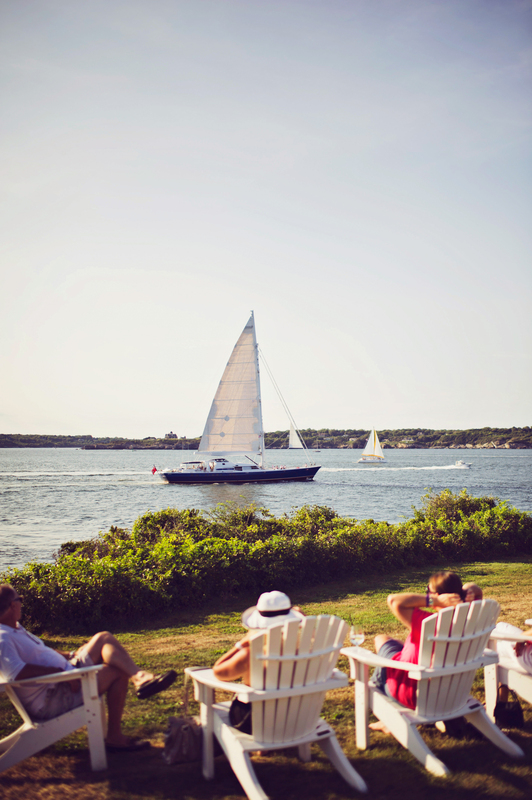 Complimentary tennis, bicycles, Sunfish sailing and paddle boarding keep energetic visitors entertained, while more languid types enjoy the sun and sea breezes from the chaise lounges on the lawn. 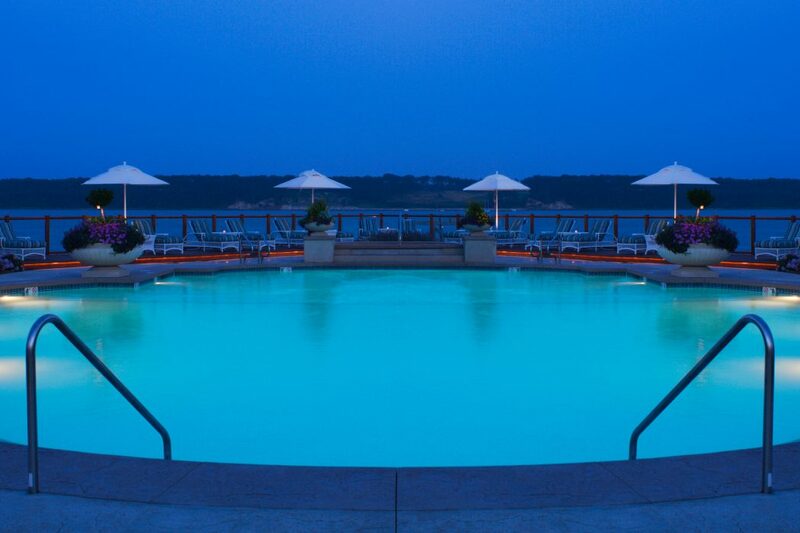 Watch the sun set over the bay before wandering in for dinner at Topper’s restaurant. 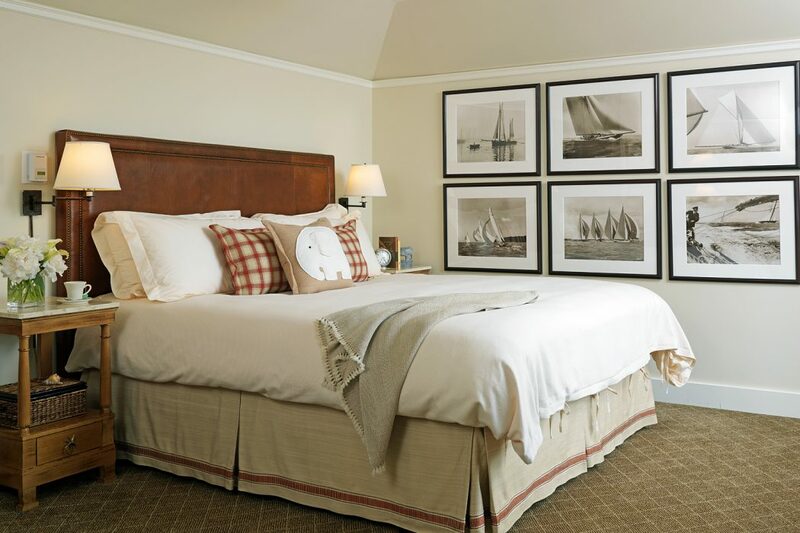 While Harbor View Hotel dates back to 1891, its current roster of 114 guest rooms and suites is all about contemporary style and comfort. 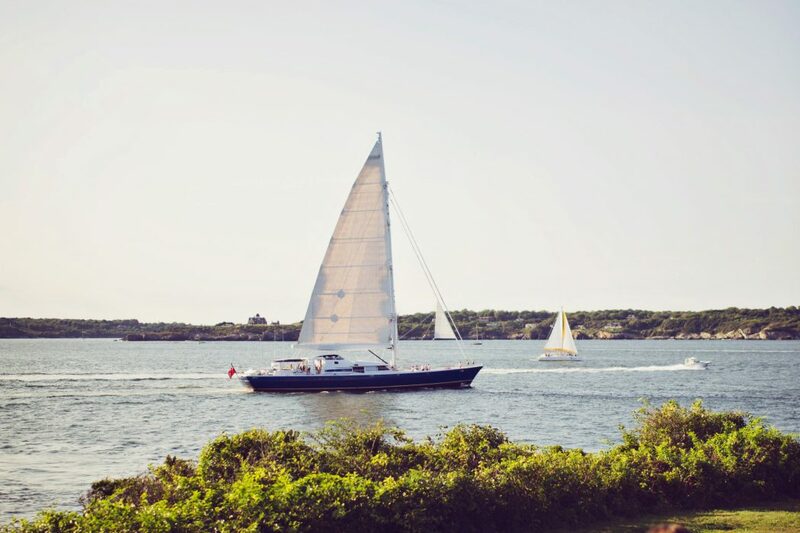 Besides a fitness center and outdoor heated pool, the Martha’s Vineyard hotel’s standout feature is the pleasurable five minutes it takes to walk into downtown Edgartown. 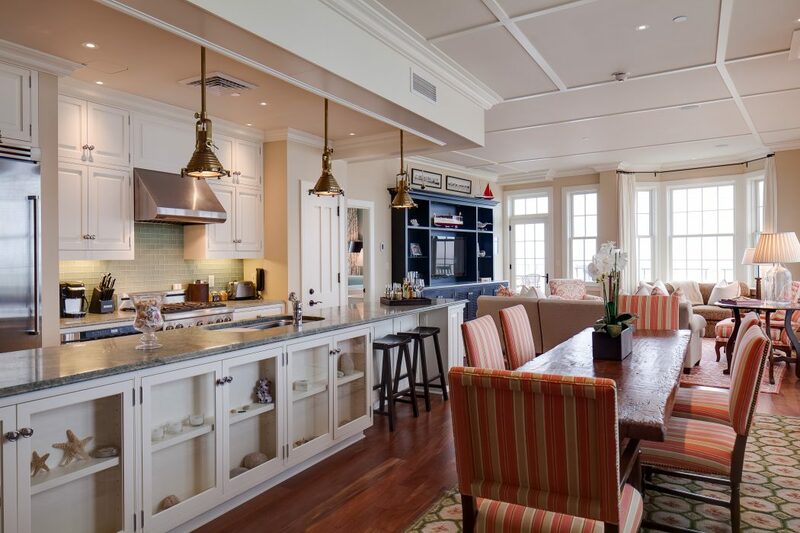 However, guests can easily stay on the property and enjoy a memorable cocktail or meal at the family-friendly Lighthouse Grill, the intimate Henry’s Hotel Bar or the poolside North 41. 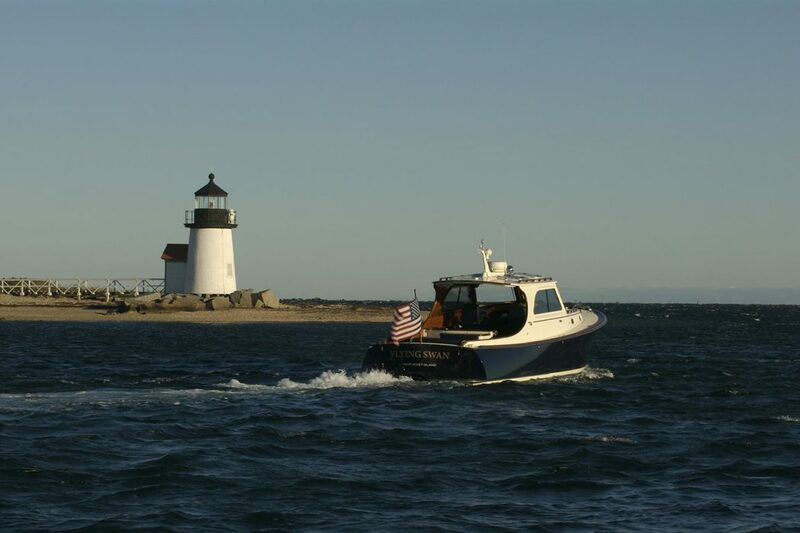 A typical activity at Harbor View is to plant yourself in a rocker and watch the ferries and sailboats glide past Edgartown Light and Chappaquiddick Island. 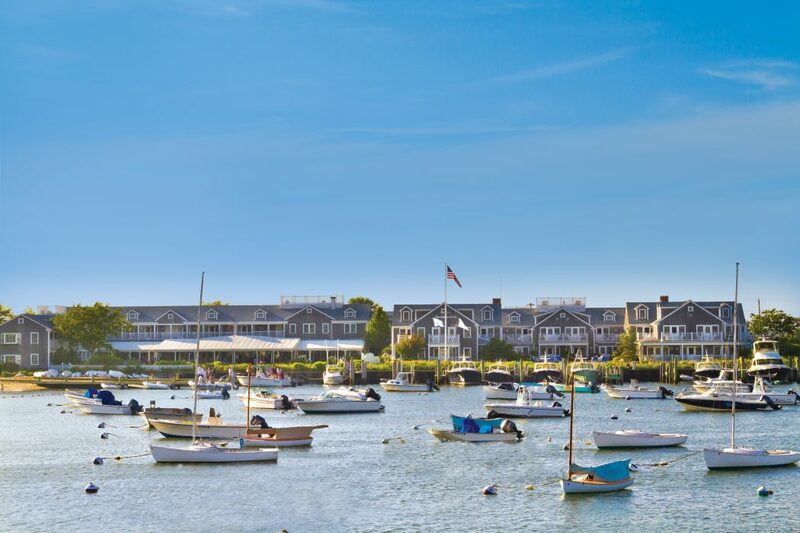 Last year, Condé Nast Traveler named Winnetu Oceanside Resort in Edgartown on Martha’s Vineyard one of the top 100 hotels in the world and one of the top 25 in the U.S. 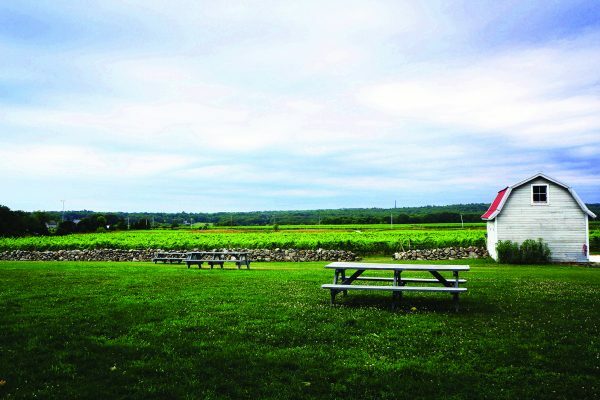 Accommodations include one- to four-bedroom suites, private cottages and Mattakesett Properties’ private home rentals. Heated pools, a tennis club and a complimentary children’s day program are among the amenities that make this resort a favorite. 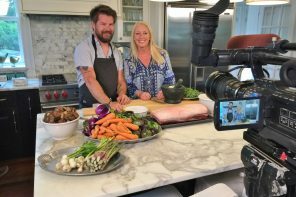 The Dunes, Winnetu’s casual dining restaurant overlooking South Beach, has also won awards for its craft beer selection and New American cuisine that incorporates fresh, local ingredients. 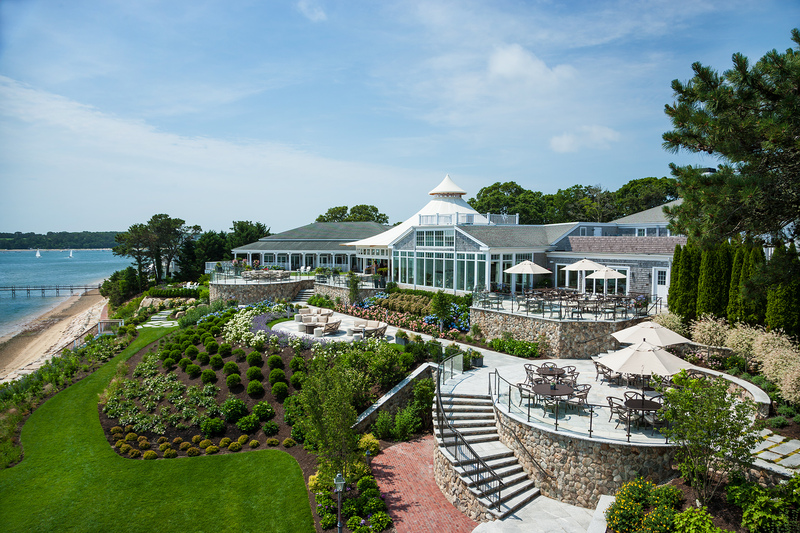 Back on the mainland, in Harwich, the Wequassett Resort and Golf Club offers another luxury oasis on 27 acres overlooking Pleasant Bay. 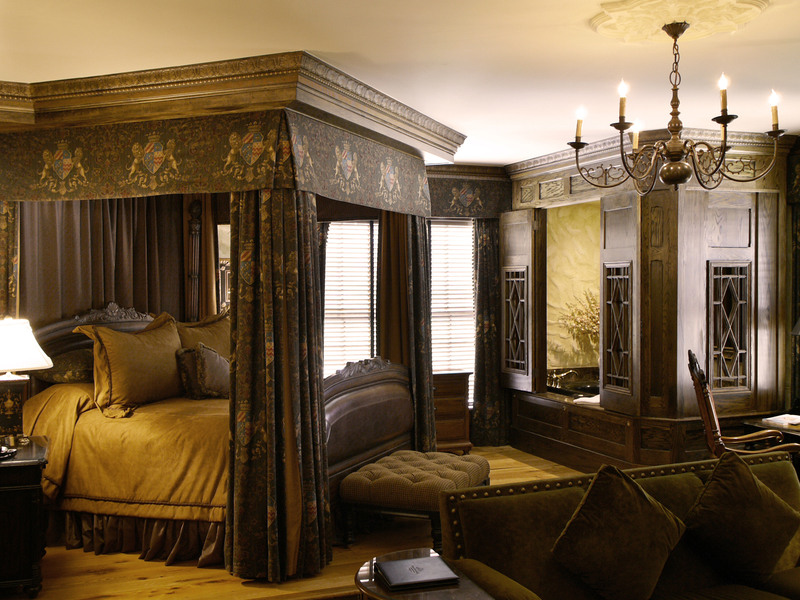 Twenty-two historic buildings and 120 guest rooms and suites comprise a relaxing retreat infused with local ambience. Two pools, two beaches, boating and water sports, four tennis courts and access to a championship golf course ensure everyone is having fun. 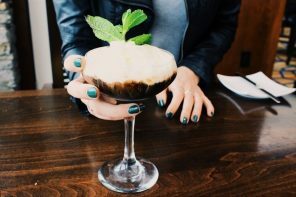 Dining options include the elegant Twenty-Eight Atlantic and clubby bar Thoreau’s as well as outdoor options: Outer Bar & Grille, LiBAYtion and Pleasant Bay Terrace. 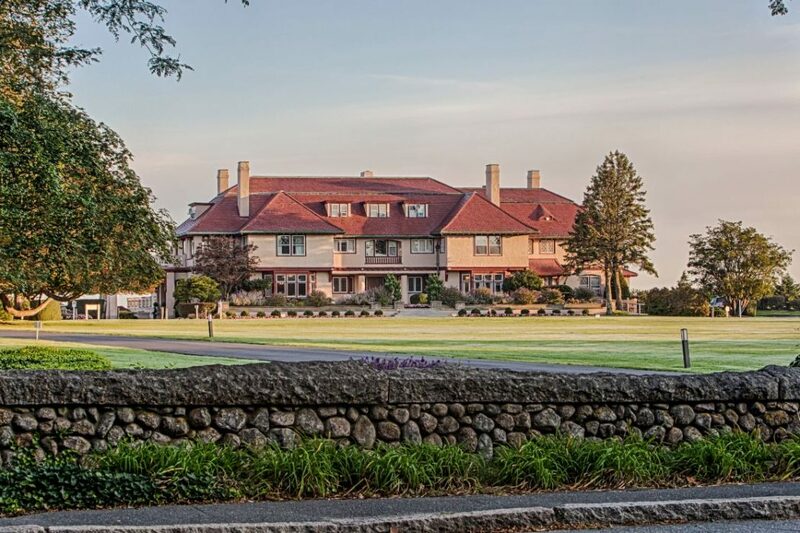 “Wequassett is a very special place where you can enjoy the beauty and tranquility of the spectacular setting along with five-star service from a staff that goes above and beyond at every turn,” says Mark Novota, managing partner. 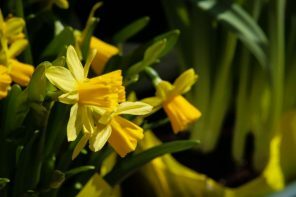 “Our guests are often generational, with families creating childhood memories; eventually those children bring theirs to keep the family tradition alive. 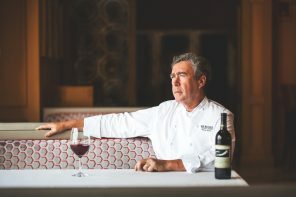 “We offer personalized service and work very hard to have an emotional connection with our guests,” he continues. 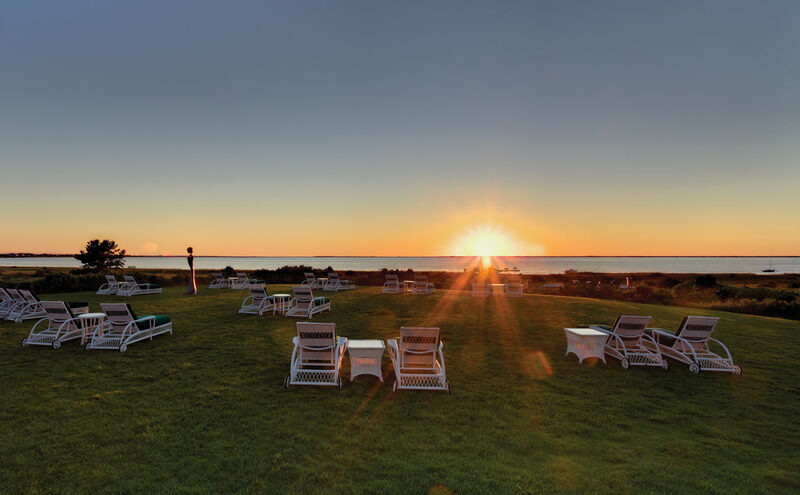 “We want them to become raving fans of the resort and we understand we have to work extremely hard to earn this.” Wequassett’s efforts are paying off, according to Forbes Travel Guide, which just named it the Cape’s first and only Forbes Five Star property. “We are very proud of the recent attainment of our fifth star and look forward to working harder than ever to be worthy of this special distinction,” says Novota. 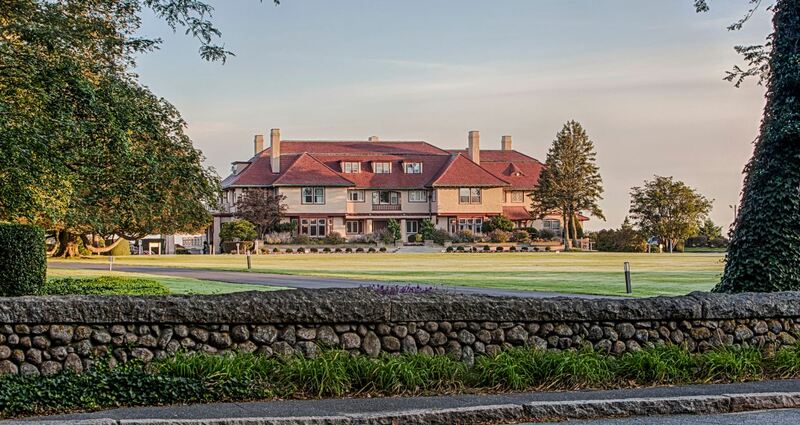 The first sign that you’ve reached Ocean Edge Resort & Golf Club, in Brewster on Cape Cod Bay, is its stately 1890s mansion and carriage house. Once home to the Nickerson family, the mansion is now on the National Register of Historic Places and is an impressive sight to behold. Accommodations inside the mansion include 90 newly renovated rooms as well as the luxurious Presidential Bay Collection villas, which come with a personal concierge, stocked kitchen, outdoor patio and easy access to the weekly s’mores bonfire on the resort’s private beach. 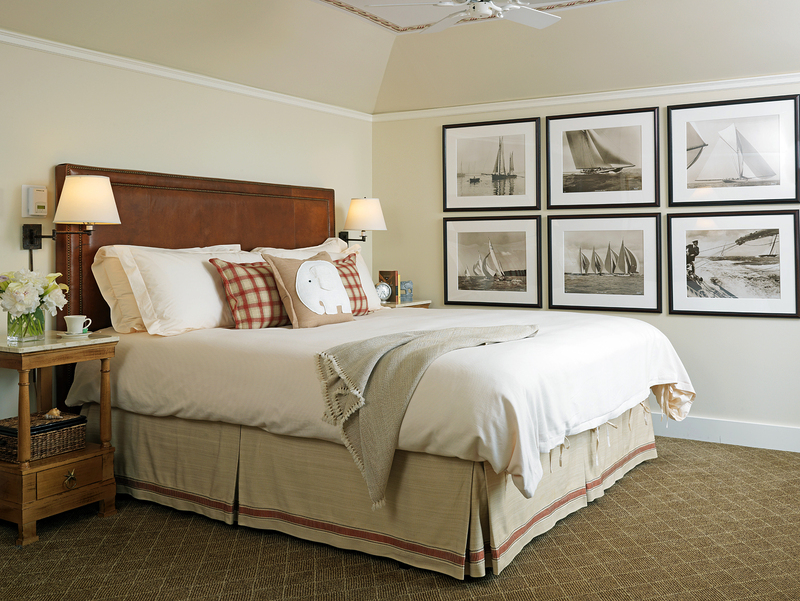 Or, guests can opt for the Villages guest rooms set along Ocean Edge’s Nicklaus Design golf course. 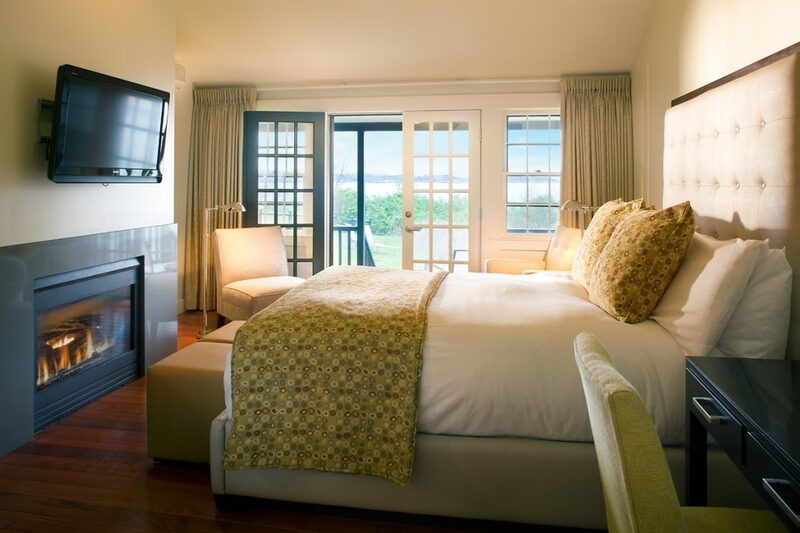 Besides easy access to golf and tennis, these rooms are near Blueberry Pond’s stand-up paddle boarding and kayaking opportunities. 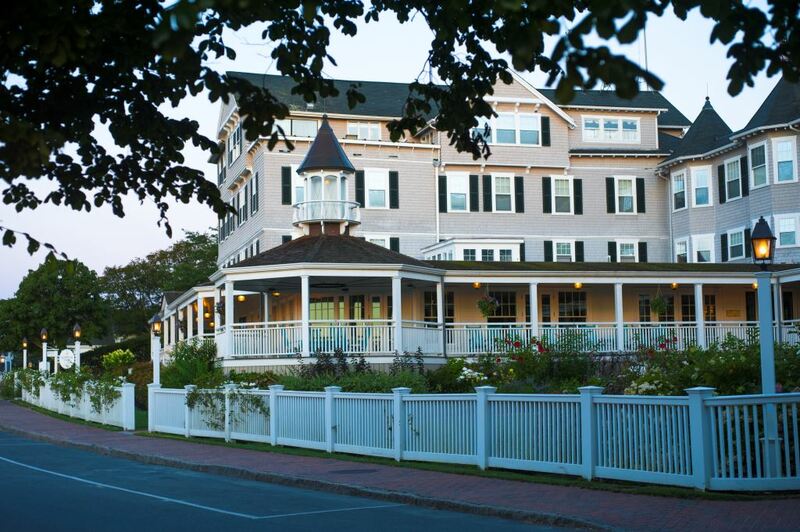 Chatham Bars Inn presides over the Atlantic like the established paragon that it is. 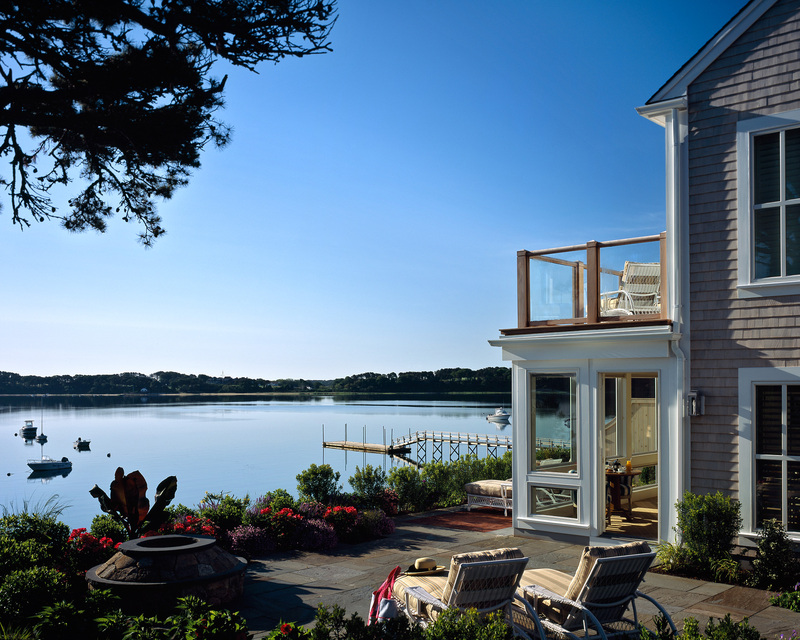 Town & Country Travel magazine termed it “the ultimate Cape Cod luxury experience,” and its setting, architecture, amenities and service validate its first-class reputation. 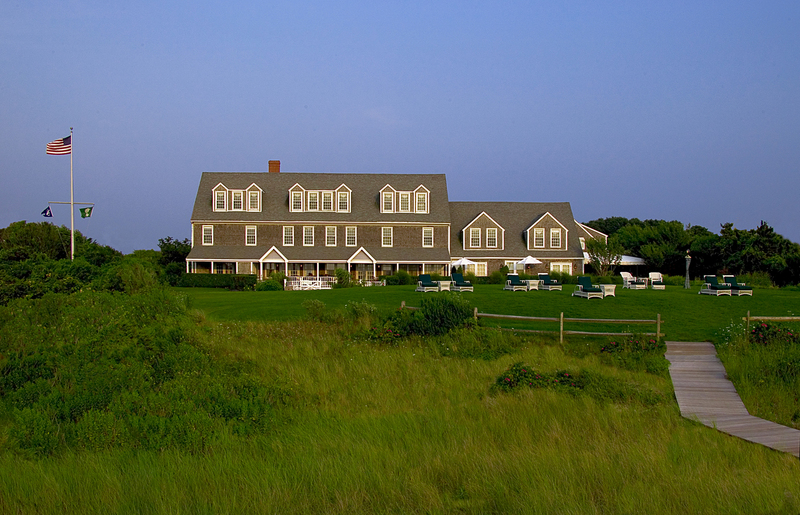 Besides a range of room and suite options, many of them ocean view, Chatham Bars Inn is home to a variety of dining experiences, including Stars, which is famous for its dry-aged steaks, wine list and fresh ingredients from the resort’s own eight-acre farm, and The Beach House, where lunch and dinner are served with an ocean backdrop. 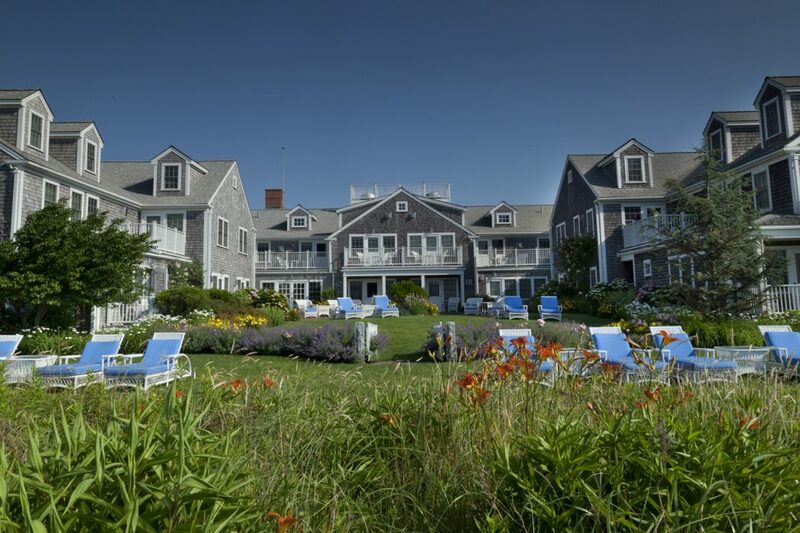 Couple delicious meals with a private beach, heated pool, award-winning spa and quick access to downtown Chatham, and it’s easy to see why Chatham Bars Inn is so highly lauded. 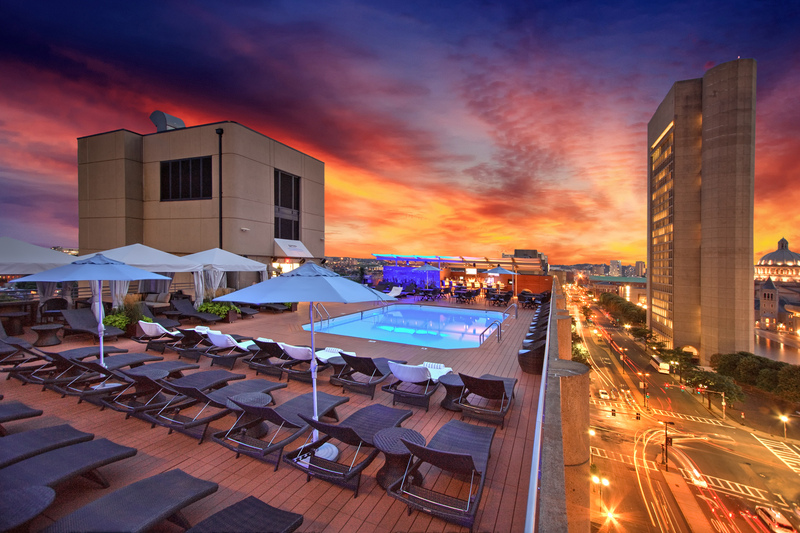 First impressions count, and The Colonnade Hotel makes an excellent one. 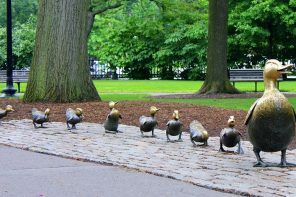 Set in Boston’s Back Bay, within striking distance of Newbury Street, The Shops at Prudential Center, Fenway, Symphony Hall and more, The Colonnade combines luxury and convenience with a dose of high style. The hotel’s lobby, complete with plush seating and an oversized table featuring a map of historic and present-day Boston, sets a posh, luxurious tone that continues into the 285 guest rooms and nine luxury suites, where a soothing chocolate brown color palette is accented by blonde wood and geometric patterns. 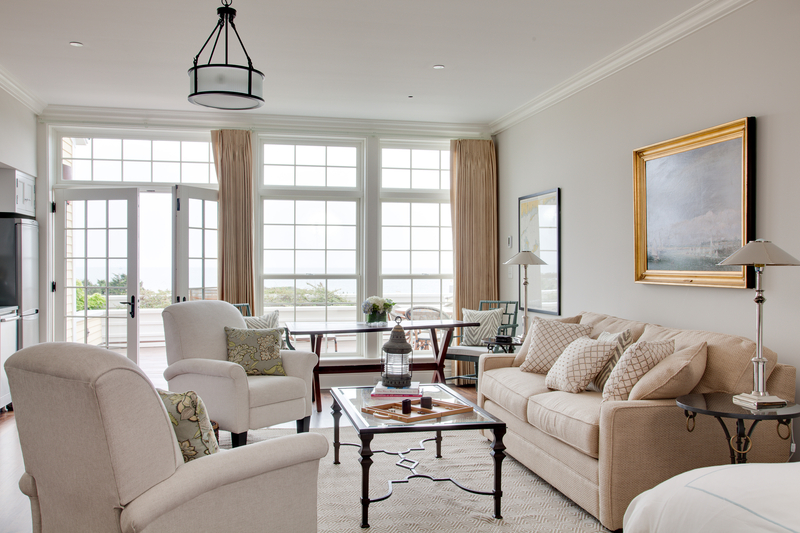 Operable floor-to-ceiling windows let in plenty of natural light. 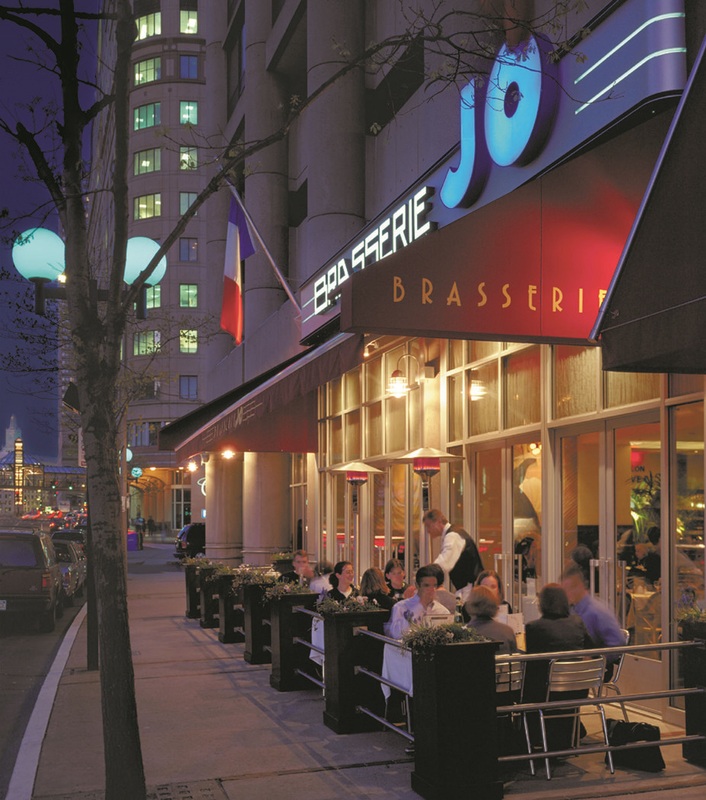 Fine cuisine is readily available onsite thanks to Brasserie Jo, an authentic French brasserie where European charm abounds. 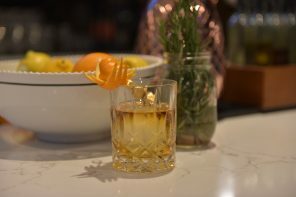 Here, guests can indulge in a leisurely meal with oversized martinis and French specialties like steamed mussels and coq au vin, or simply sip their wine of choice at the restaurant’s charming bar. 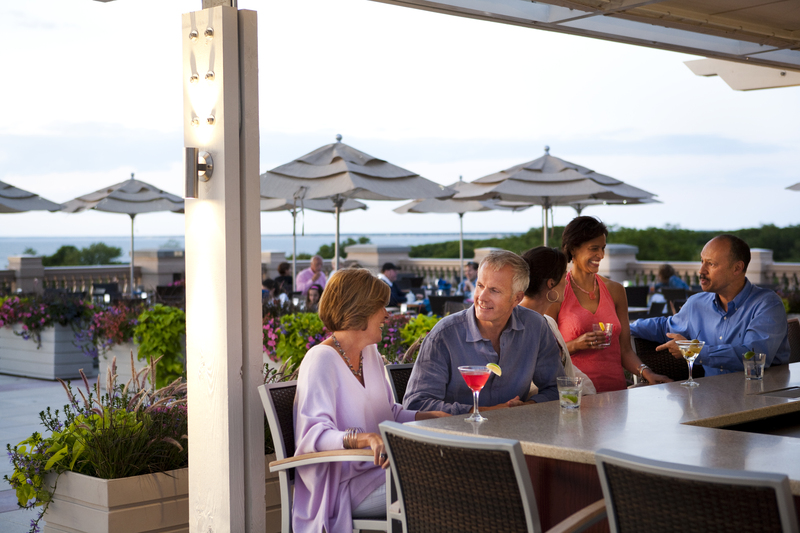 From its state-of-the-art fitness center to its themed packages and special offers, The Colonnade hits every note when it comes to guest service. 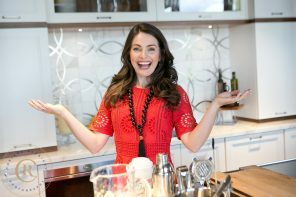 “From check in to check out, we anticipate and take care of our guests’ needs so that they can truly relax and enjoy themselves,” says Colella. 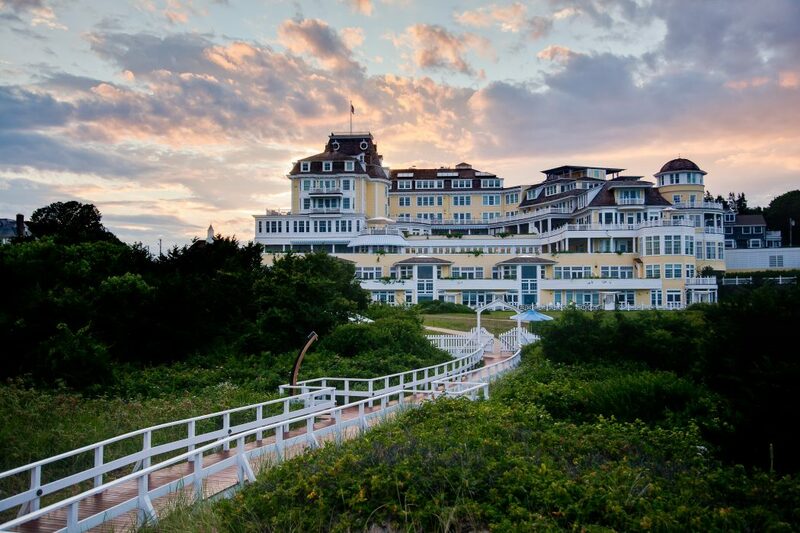 The impressive Ocean House resort—which indeed looks like a house, albeit a very large one, outfitted in cheery, hard-to-miss yellow—began as a grand Victorian hotel in 1868. 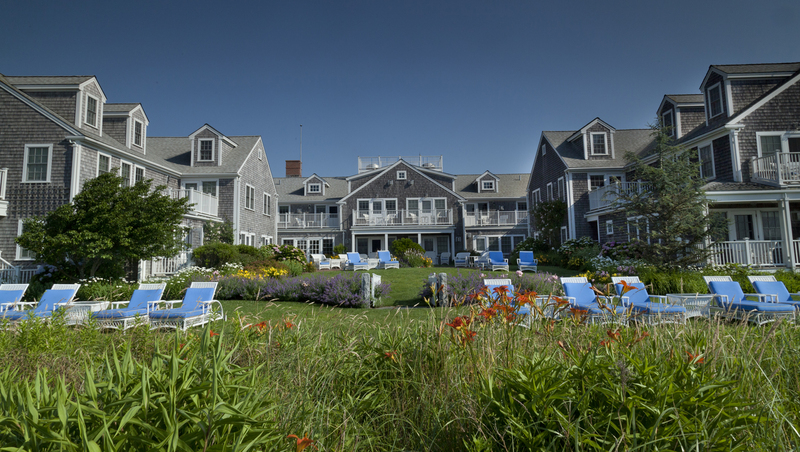 After the original hotel closed in 2003, it was purchased in 2004 and rebuilt for six years before reopening in 2010. 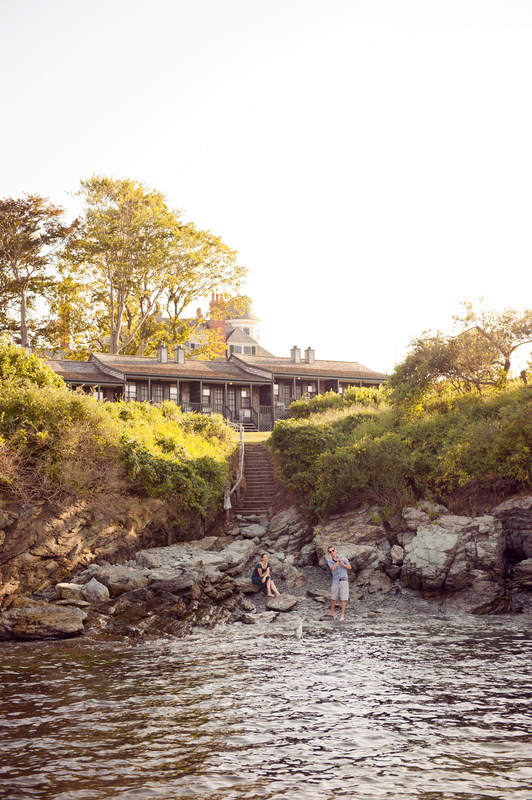 Today, Ocean House is still just as grand and probably even more inviting. 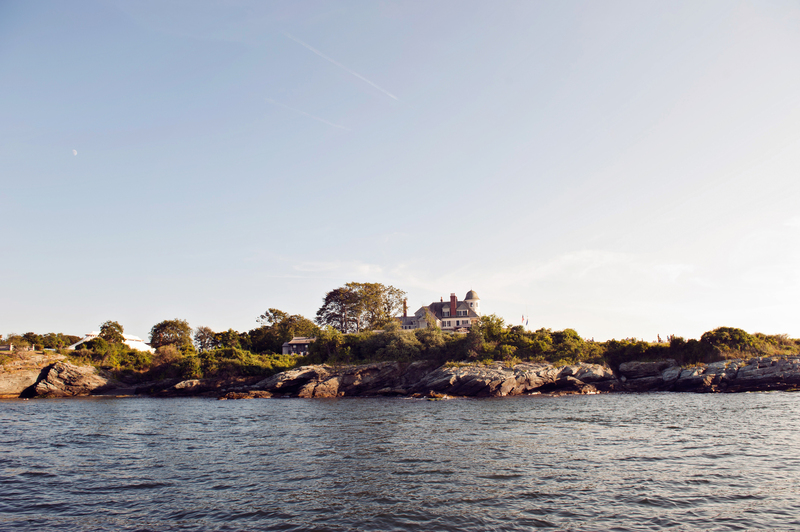 A Relais & Châteaux member and a Watch Hill icon, it enjoys Forbes Five Star and AAA Five Diamond ratings. Amenities include 49 rooms and 18 Signature suites, plus a 650-foot private beach with cabana beach service and unrivaled views of Montauk, Block Island and the Atlantic. 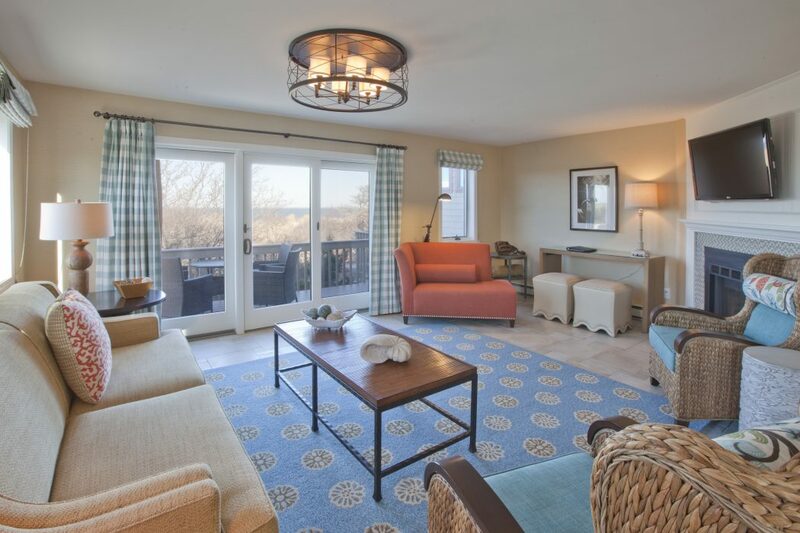 A croquet lawn, putting green and shuffleboard court invite outdoor activities while the relaxing main living room, which serves afternoon tea, and the onsite OH! Spa encourage indoor unwinding. A spectacular meal is never far away thanks to the resort’s fine dining restaurant Seasons, its warm and welcoming Bistro and its view-laden outdoor dining spots, Verandah, Dune Cottage and Seaside Terrace. 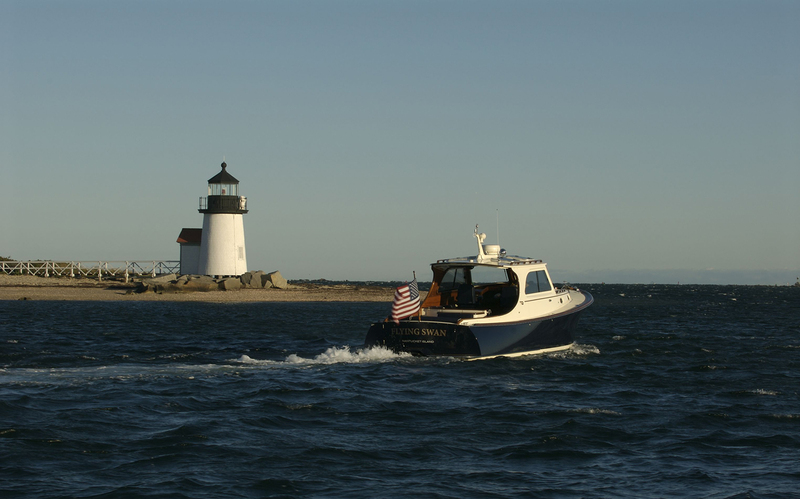 On the western-most tip of Newport, Castle Hill Inn enjoys an entire peninsula to itself with views of East Passage and the Atlantic. Originally the summer home of noted marine biologist and naturalist Alexander Agassiz, it is now part of the prestigious Relaix & Châteaux family and welcomes both weekenders as well as long-term vacationers with a blend of luxury and classic coastal charm. 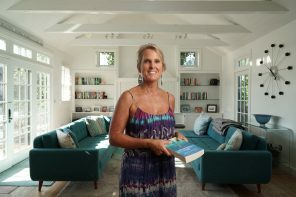 Room options range from cottages by the beach to cozy rooms in the mansion to Harbor House rooms overlooking Grace Kelly Beach, a rocky enclave frequented by the famous actress one summer during a movie shoot. 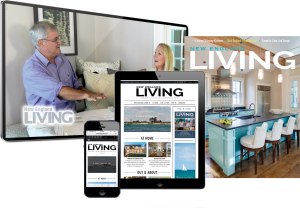 Once settled, guests can opt for an indulgent spa treatment at The Retreat followed by a special-occasion meal in the dining room, where the cuisine is bested only by the restaurant’s signature views of Narragansett Bay. 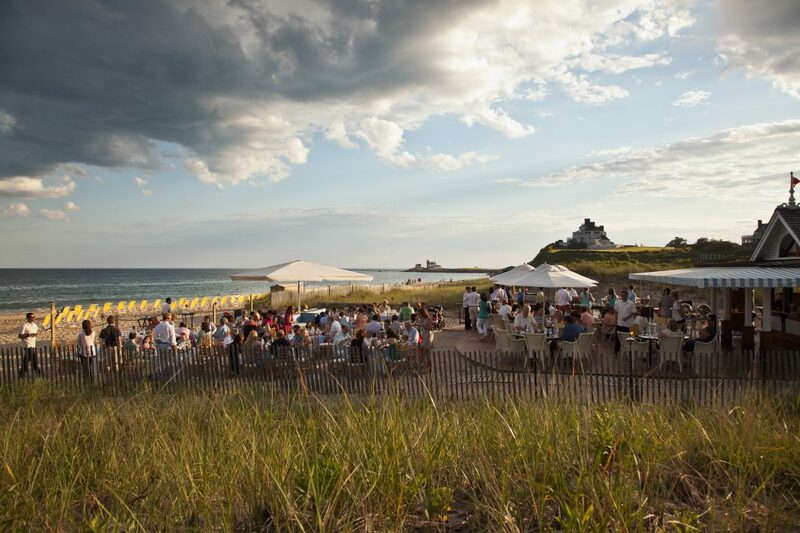 But no one should ever leave Castle Hill without experiencing “The Lawn,” where small plates and summer cocktails can be delivered right to your Adirondack chair. 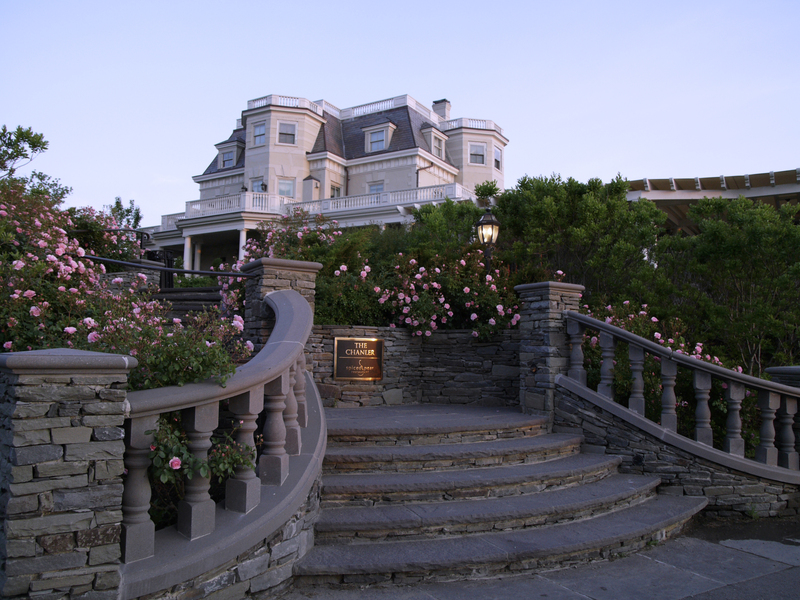 Walking along Newport’s Cliff Walk and taking in the sights of the mansions is one thing, but staying in one is quite another. 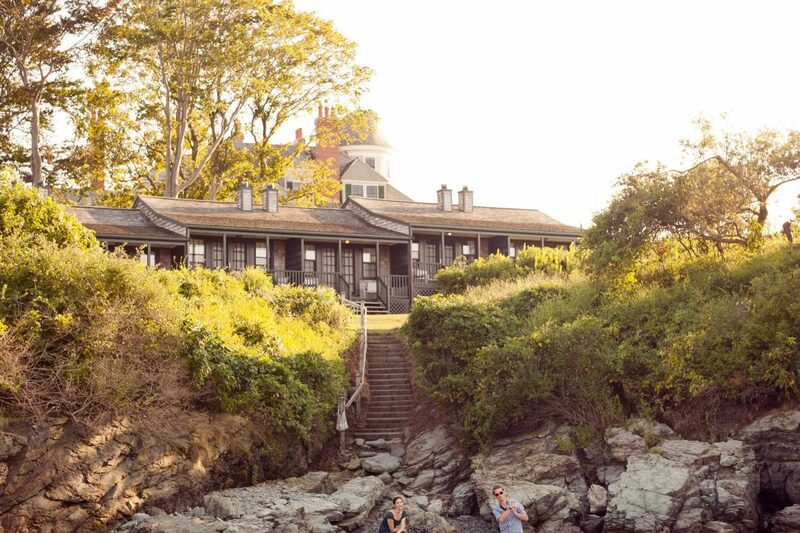 This is why The Chanler at Cliff Walk is such a special place: it’s a 19th-century mansion-turned-boutique-hotel with just 20 exclusive, romantic rooms decorated in various period styles. 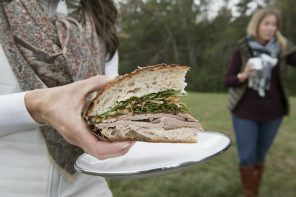 Equally appealing is The Spiced Pear restaurant, which serves up New England cuisine with French influences. 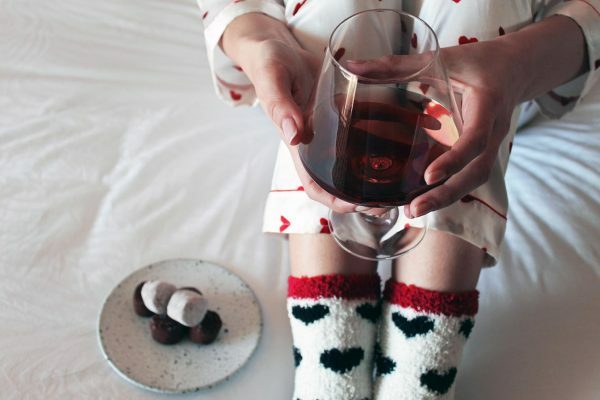 Upon check-in, guests are greeted with a glass of sparkling wine, and the decadence doesn’t end there. The Chanler offers complimentary car service to Newport destinations such as mansions, beaches and restaurants. During the summer months, it’s possible to arrange for daytime butler service on a Newport beach of your choosing: besides the requisite chairs, umbrella and towels, this package comes with a perfectly prepared picnic lunch for two.